The venue is located in a pretty woodland area near Croydon and is only a 10/15 minute walk from the nearest train station. For those who are driving, they are 10 minutes from Junction 6 on the M25 and provide free parking. 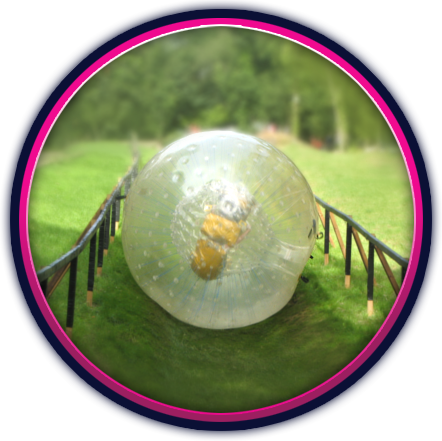 With a rustic woodland setting and shaded picnic benches, you can get a full top-to-bottom view of the slope – perfect for capturing the zorbing experience. They are particuarly poplular for stag groups; the location a mere 35 minutes from central London makes them easy to reach for stag and hen parties by train or by car. Once the zorbing experience is over the stag group is within easy reach of London's great nightlife!